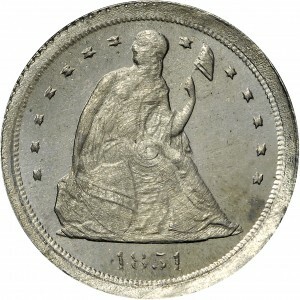 This is a curious pattern issue, with the obverse produced through direct transfer from an 1854-dated Liberty Seated silver dollar. 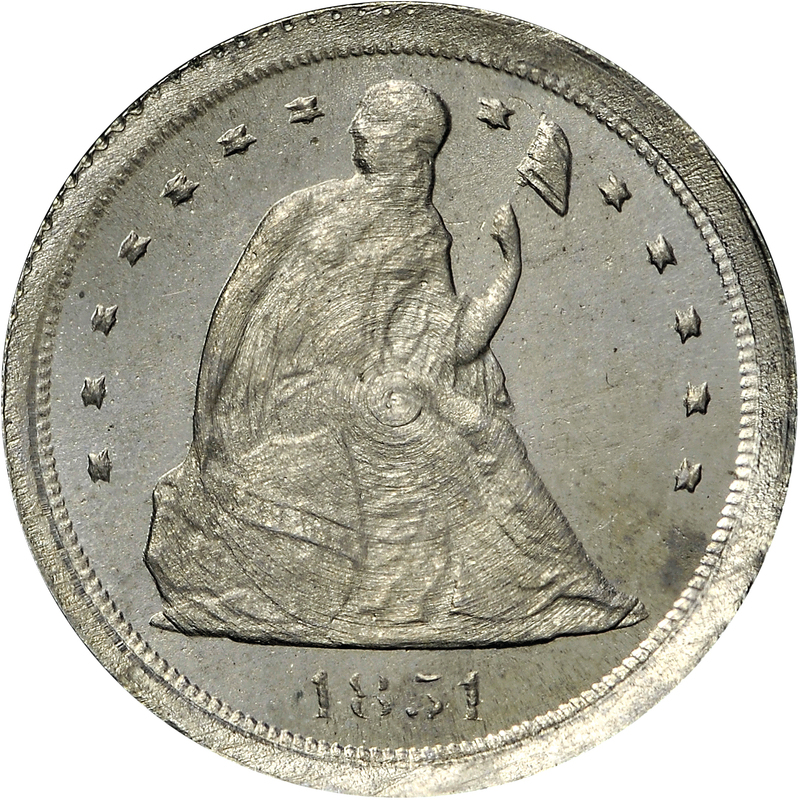 Because of the transfer process, the date appears as “1851.” Essentially, an 1854 silver dollar was used as the “model” in the reducing lathe, with its image directly traced to the die for this cent pattern. 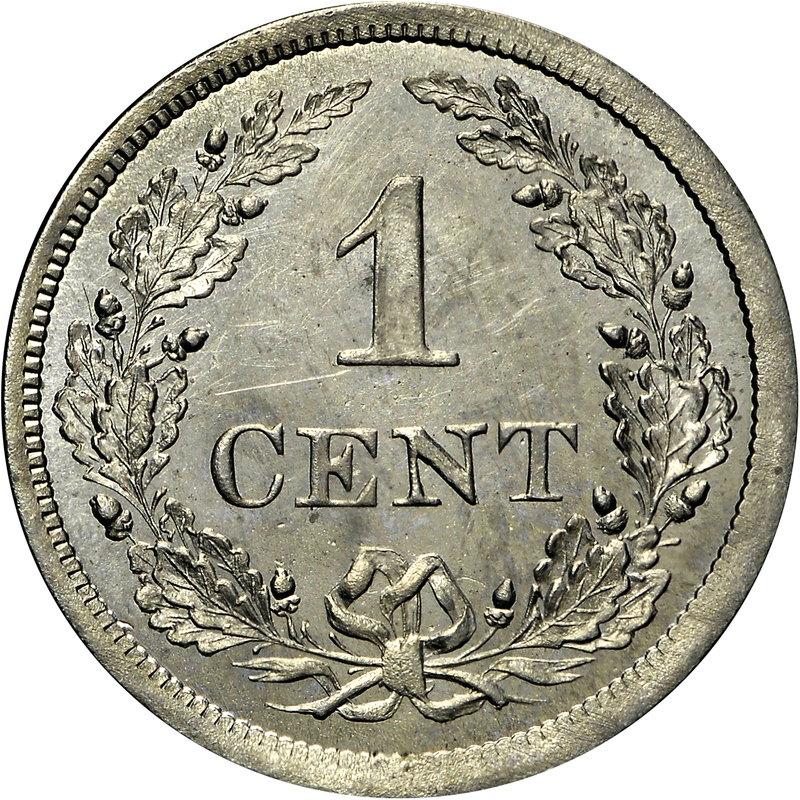 Concentric lathe engraving lines may be seen with the center of the coin appearing as a “target.” This pattern issue is produced in an alloy of nickel, copper, and zinc, with just over a dozen examples known. Others are also known in copper composition. Gobrecht's Liberty Seated motif, as seen on the circulating silver issues of the era, 13 thin, attenuated stars around Liberty, date below. 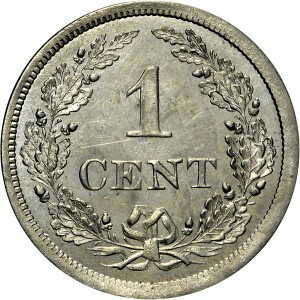 1 CENT within open-topped wreath of oak leaves and acorns, bow at bottom of wreath. "Was listed as Patt 220."